Essential plot rundown: A cop learns the true meaning of Christmas. Considering it is the Christmas season, I figured I better watch, what many people consider, the greatest Christmas movie of all time. 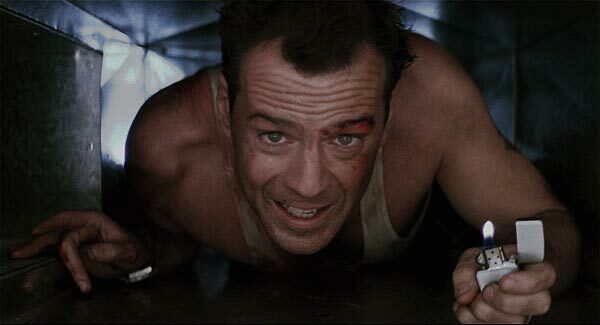 Die Hard is a pretty awesome movie. It is all around a good time. The story works; the characters are like-able (except for the one, but he gets what he deserves); the pacing and action are good. Really, the only thing that bothered me was how they used their walkie-talkies. I'm not a doctor, but I don't think people can talk to each other at the same time on them. But 'tis a small thing. However the important thing here is, Die Hard is more than your average action flick. As all Christmas movies that come out in July do, it focuses on the real themes. Themes such as camaraderie; forgiveness; love; and appreciating the small things, such as shoes. It made me thankful that I own a pair. 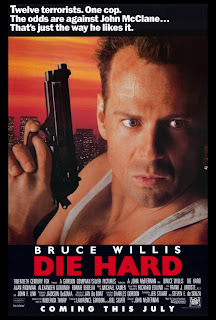 Overall, Die Hard is a moving action movie that reminds us of the important things in life. Not only does it entertains, but it teaches.